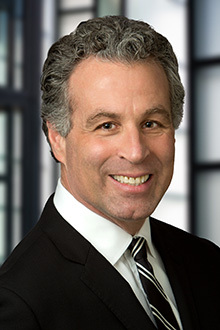 Julian Pardini is the managing partner in the San Francisco office of Lewis Brisbois, chair of the First Party Property Practice, and vice-chair of the Insurance Coverage and Bad Faith Practice. Mr. Pardini’s practice focuses primarily on insurance coverage and bad faith litigation, specializing in claims and lawsuits arising from first party coverage disputes and suspicious losses. He also has experience handling general liability litigation. Mr. Pardini has significant trial experience, trying more than 20 cases in federal and state courts throughout California. Mr. Pardini defended at trial an insurer in an action for breach of contract and bad faith in San Francisco County Superior Court. After five weeks of trial, the jury returned a verdict for plaintiff for less than the amount offered before trial. (Mohammed v. Leading Insurance Services). Mr. Pardini represented at trial an insurer defending an action for breach of contract and bad faith in Sacramento County Superior Court. After six weeks of trial, the jury returned a defense verdict. (Frawley v. Nationwide Mutual Insurance Company). Mr. Pardini represented at trial an insurer defending an action for injunctive relief, violation of unfair business practices, abuse of process, intentional and negligent infliction of emotional distress and bad faith in San Francisco County Superior Court. During pre-trial motions Mr. Pardini successfully argued 14 out of 15 motions in limine and moved for nonsuit on the cause of action seeking a permanent injunction. Shortly after the court ruled on these motions the case settled for the amount previously offered. (Hyde v. Nationwide Mutual Insurance Company). Mr. Pardini obtained a defense verdict at trial in a breach of contract and bad faith lawsuit in Orange County Superior Court stemming from a coverage dispute involving the application of the “dry rot” exclusion to damage caused by a fungus, Poria Incrassata. (Womer v. Nationwide Mutual Fire Insurance Company). Mr. Pardini represented an insurer in a declaratory relief, breach of contract and bad faith action in Fresno County Superior Court. The jury found in favor of the insurer on the declaratory relief action, concluding that the insured intentionally misrepresented material facts in submitting his claim. (CalFarm Insurance Company v. Mister C Corporation). Mr. Pardini represented an insurer in a breach of contract, fraud and bad faith lawsuit in Tulare County Superior Court. After 13 days of trial, the jury returned a defense verdict. (Flowers v. CalFarm Insurance Company). Mr. Pardini represented at trial a commercial insured in a substantial property damage case (destruction of a $1.5 million mainframe computer) in Santa Clara County Superior Court. During pre-trial motions, Mr. Pardini successfully argued an issue of first impression concerning the effect of a contractual limitation provision on an unrelated third party. The favorable ruling by the trial judge resulted in the insured being dismissed shortly before opening statements began. (Certain Underwriters of Lloyd’s v. Three Way).